Over the years, fall has become my favorite time of the year. It used to be all about the spring and summer when I was a kid, naturally because it meant long, warm days spent outside of the house. As I moved into my twenties, my overall health started to gradually worsen, making me very susceptible to different allergies (even to the sun) and barely able to withstand the heat, by which I mean temperatures going over 30 degrees Celzius. So spring and summer were basically ruined for me and I was forced to start paying more attention to the fall, to the subtle changes in color, mood and atmosphere that it wreaked on my surroundings. And I came to love how it gets urban landscapes to soften by adding a pop of strong color to whatever green spaces are left there – a few select tones of red, green and yellow. I even stopped minding the rain. 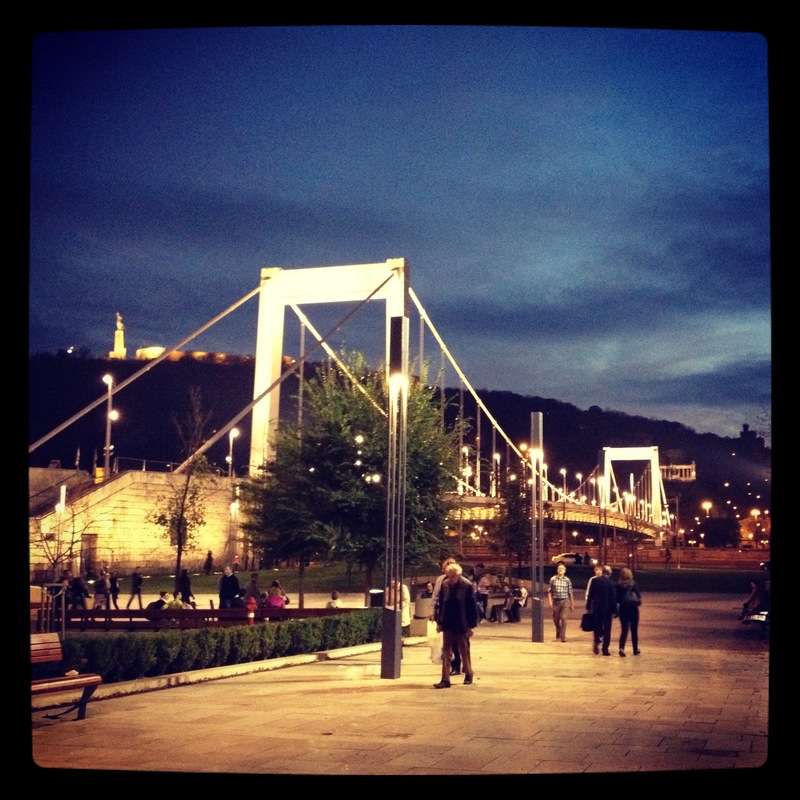 Last fall, my long-standing crush on Budapest, developed during my first couple of visits in 2006 and 2007, turned into deep, deep love and a sense of home-like familiarity. It re-confirmed my initial assessment that it is a city where I can see myself living long-term. It’s a big city, but not big enough to crush you. And my experiences on this last, extended visit, only served to deepen this affection. It was truly a life-altering stay, on many levels, which I will get into more in further posts. 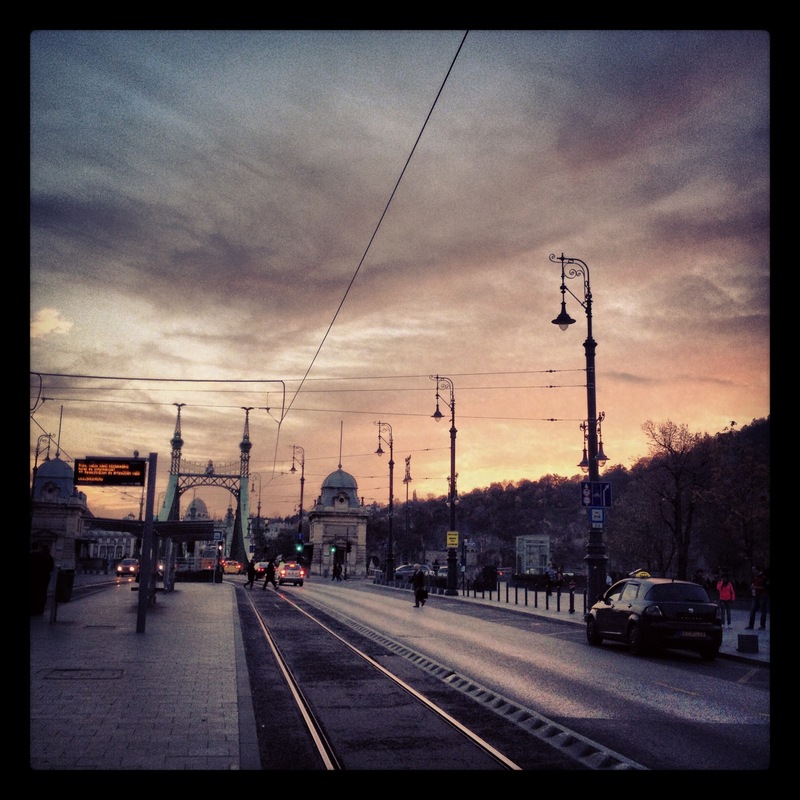 This past October in Budapest was an unusually mild one. I was there for the entire month, and it rained only on two occasions. Crossing the Danube over Margit Hid (Margaret Bridge) on my way home from school/work, I was treated to gorgeous sunsets almost every day, with the soft light of the dying day suffusing the Parliament on the left bank of the river, and the Buda Hills on the right. I’ve always loved that the tram makes a stop in the middle of the bridge, affording you this view, which I couldn’t get tired of even after seeing it every single day for over a month. The reason I was in Budapest was that I was taking a four-week, intensive CELTA course (Certificate in Teaching English to Speakers of Other Languages), which would add an international teaching certificate to the one I’d already obtained in Croatia. 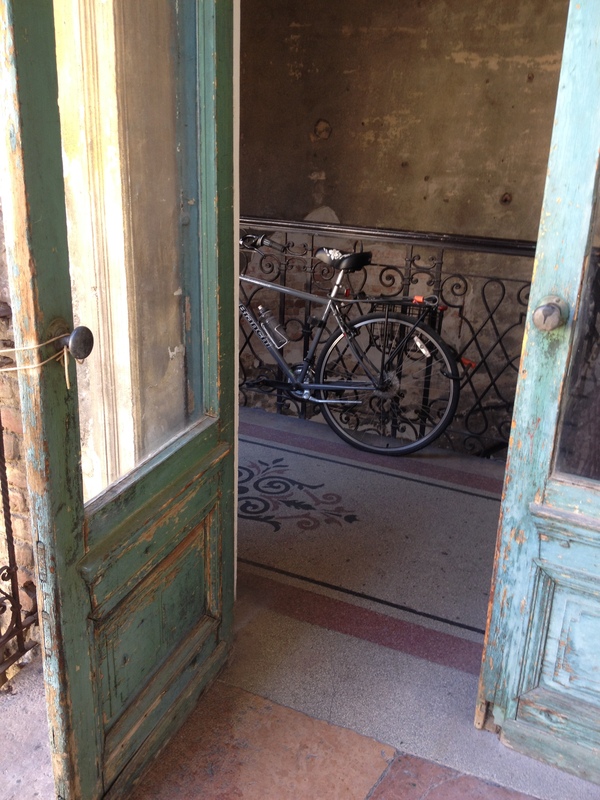 So, via Airbnb, I rented a wonderful little apartment near the Opera, in the 7th district, a/k/a Erzsebetvaros, a/k/a the Jewish district. 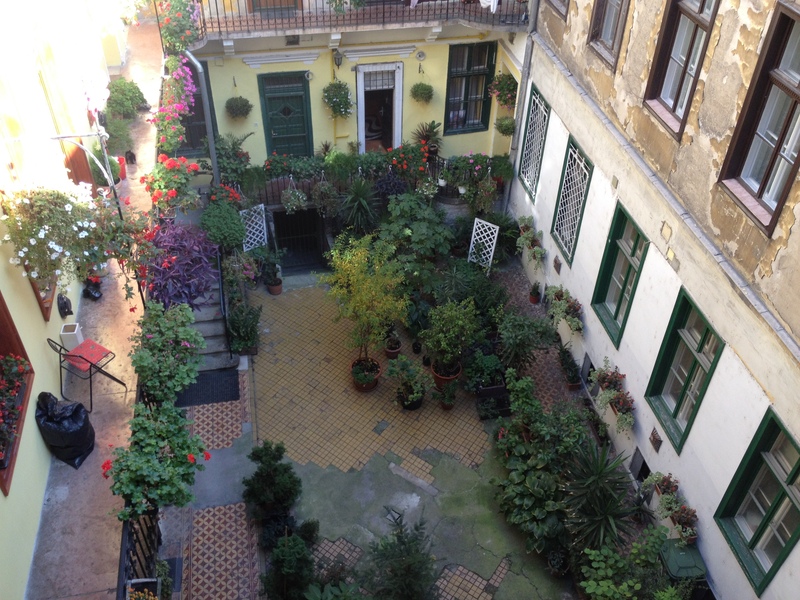 Very Parisian courtyard in my apartment building. 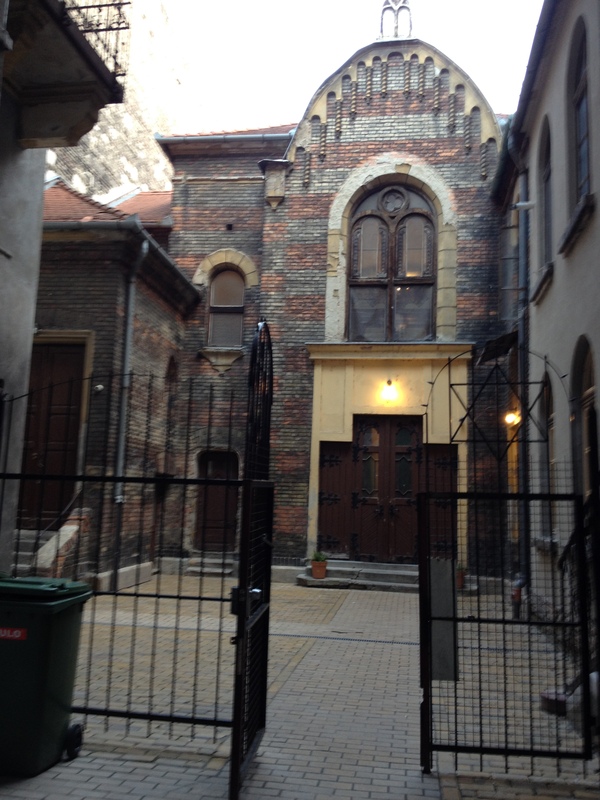 What is now the 7th district was in the 18th century a town quarter given over to the then small Jewish community of Budapest by Emperor Joseph II, allowing them freedom of religion and trade. As it grew and other ethnic communities came to inhabit the area, it was renamed Erzsebetvaros (Elizabethtown), after Queen Elizabeth (Sissy), the popular wife of King Franz Joseph I. 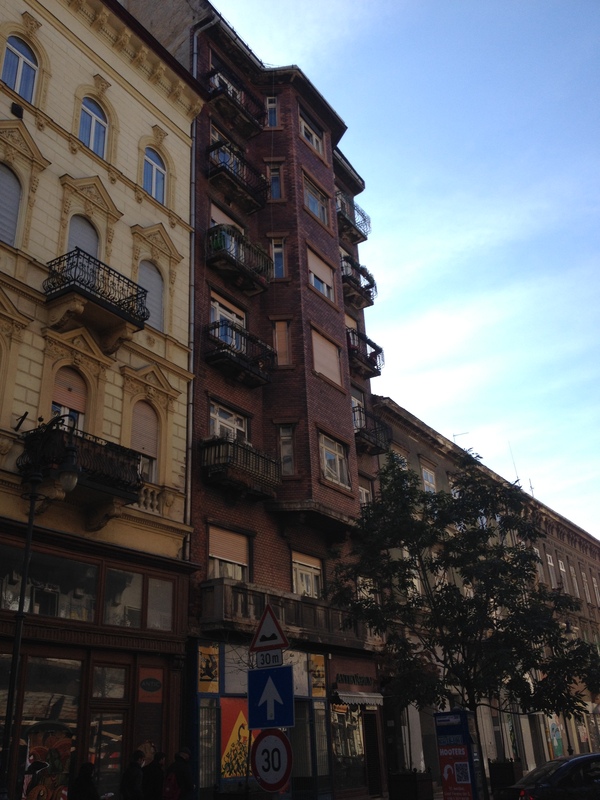 In 1944, it was turned into a ghetto, and mostly abandoned and left to deteriorate in the aftermath of the war, when the communist regime urged people to move to new housing in “booming” districts of Budapest. Hence its dilapidated but oh-so-charming looks. 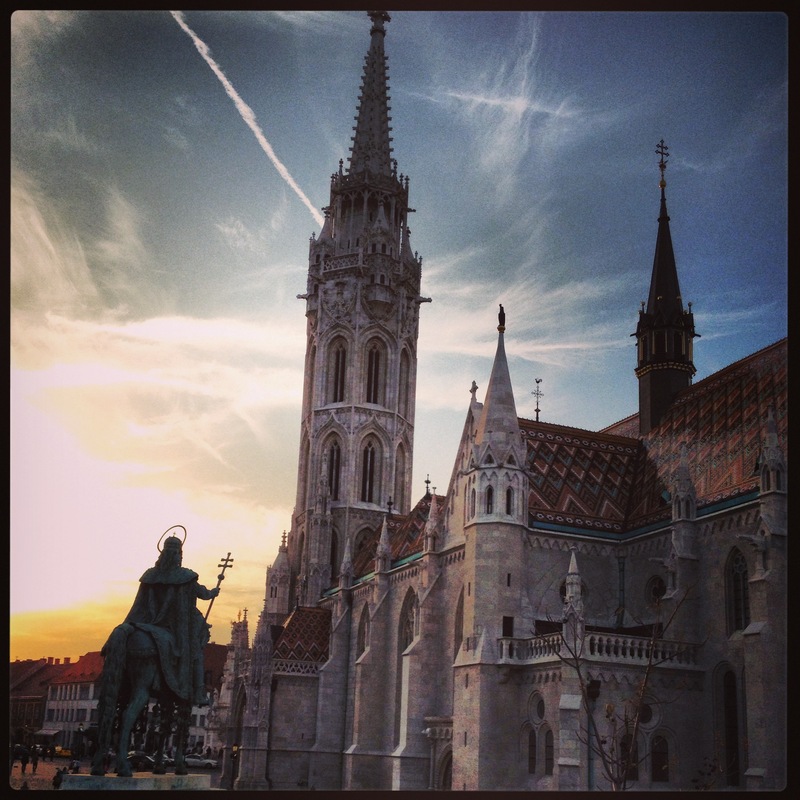 When I talk to people about Budapest, most of them compare it to Prague. I can understand that to a certain extent, since for Croatian people, Vienna, Budapest and Prague are still relevant reference points thanks to the shared history we can boast as parts of the same Empire. The link with Budapest is the strongest, though, or it should be, given that we had a dual monarchy with the Magyars long before the Habsburgs came into play. 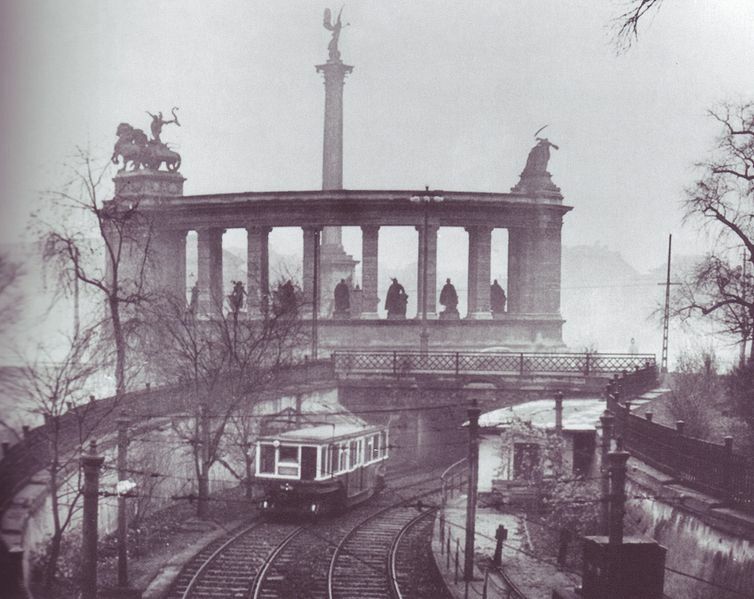 But for some reason, people insist on comparing Budapest to Prague (not to Vienna), with the latter coming out on top as “prettier.” I get heavily irritated by this, as I find very little ground to compare them on, other than the said history of belonging to the same mitteleuropean cultural circle. 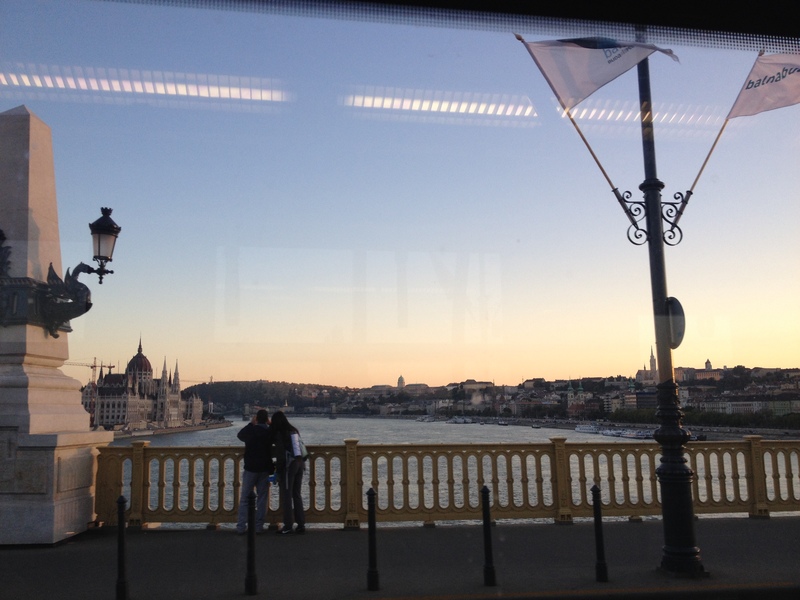 The architecture is completely different (very little Gothic left in Budapest), the language, people’s mentality, the atmosphere of the city, even the river(s) they straddle. Be that as it may, I firmly stand on the side of Budapest. If I have to make comparisons, Prague is way more touristy (too touristy, in fact), way more americanized/westernized, way more cosmetically beautified. Yes, it’s absolutely pretty, but verging on saccharine for me. Yes, the food is cheap and good, but I haven’t seen much of the local cuisine beyond meat and dumplings, accompanied by the ubiquitous beer (none of which is Czech anymore, except for a few private microbreweries). 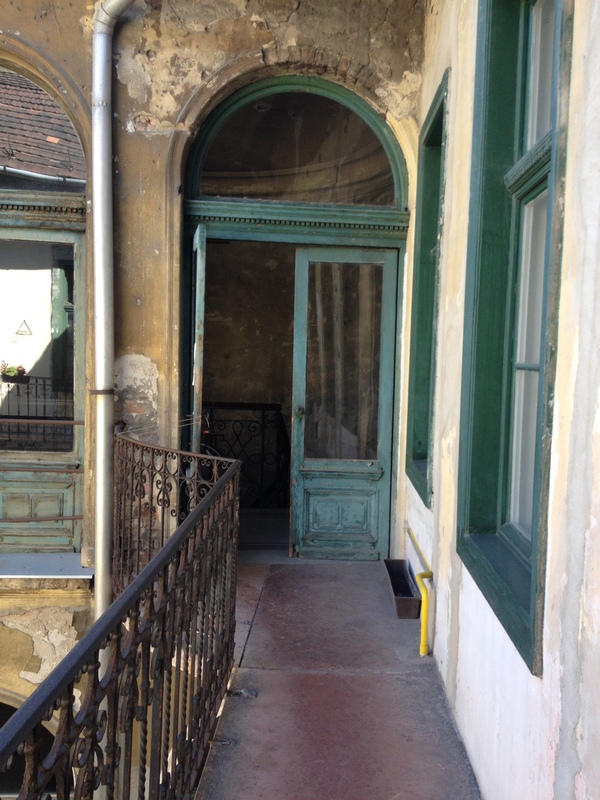 Budapest, on the other hand, retains a grittiness and griminess which have something genuine about them. The streets are rather dirty and covered in canine excrements. English is still a problem, and can sometimes result in poor service. And yet, local cuisine is superb and diversified, and incredibly cheap. I was able to eat out every day for a month on my meager budget. And there’s a whole lot more to drink than just beer – excellent Hungarian wine, palinka (fruit brandy, a favorite of mine), Unicum (herbal liqeur). 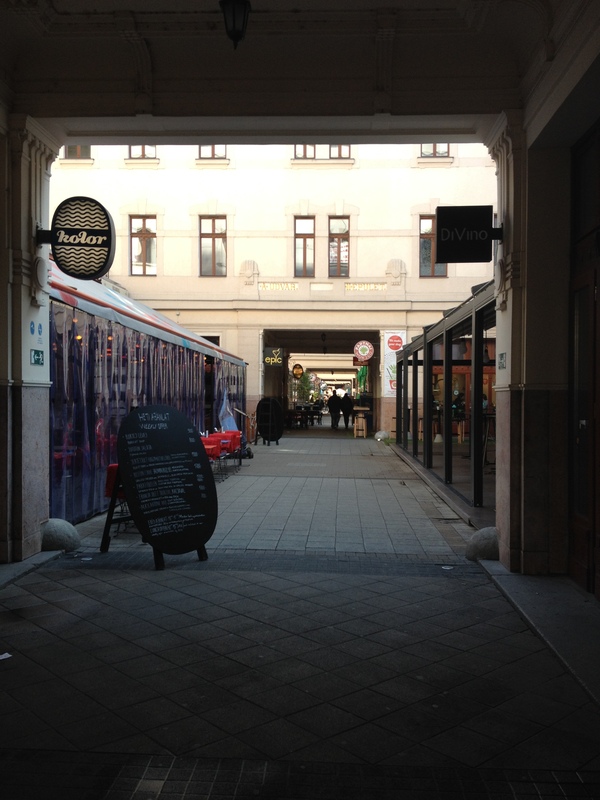 (For more tips on where to eat&drink, check out my further posts on Budapest.) 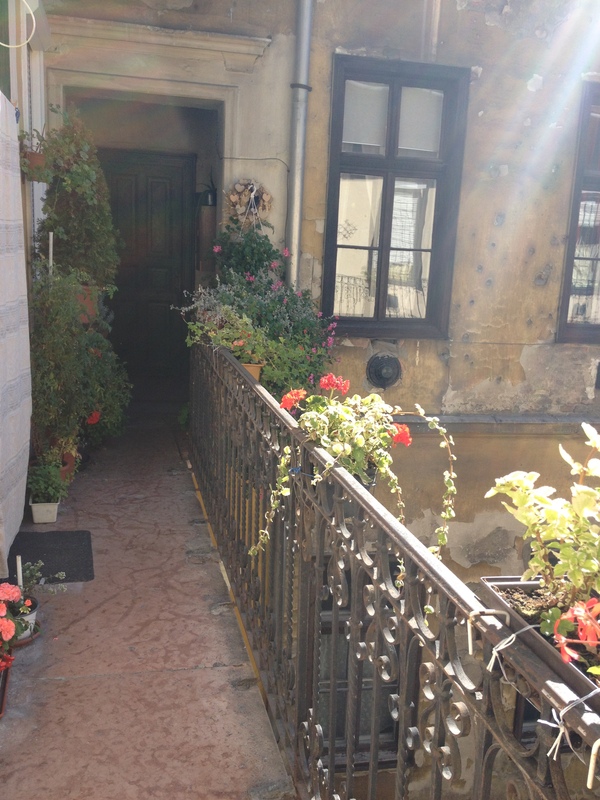 Accommodation can be found at truly budget prices. Public transport is cheap, efficient and easy to use. There’s honestly a lot that recommends this city, both for short visits and extended stays. But more on that in my next few posts, where I will give a more in-depth perspective on the Jewish district and offer tips on sights, food and drink. 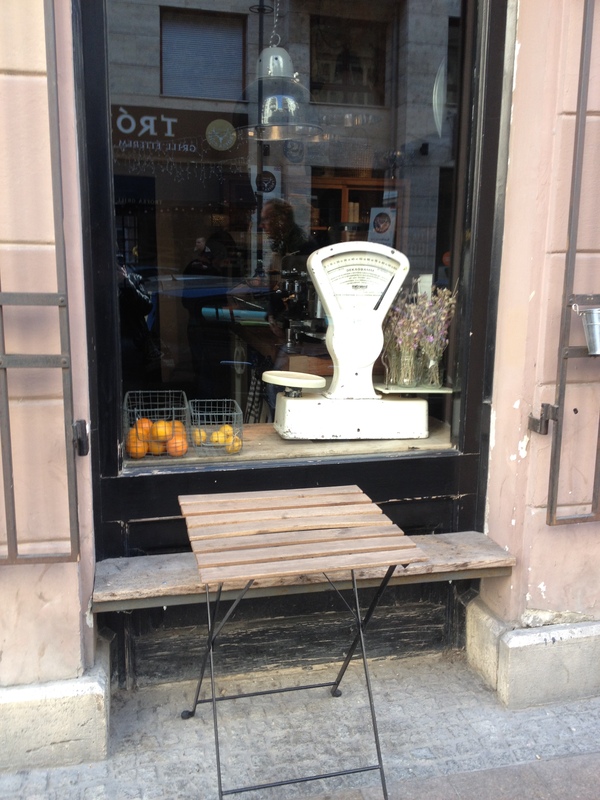 Please feel free to comment and share your experiences of Budapest (and Prague, if you like). All pictures in this post are mine. Feel free to use them, but make sure you include a link or reference to this site. This is a beautiful article! The way it is written really takes me back there and I can see the area when I close my eyes (I admit, it is a bit difficult to keep on reading your article with closed eyes). You caused a big case of Fernweh! Thank you, that’s wonderful to hear! I prefer the Buda Hills and the 7th district is probably getting worse and worse with time, but everyone who’s been there cannot help but love this city. I understand why you prefer the Buda Hills – I escaped there when Pest became stifling – but I like to keep my finger where I can find the pulse. 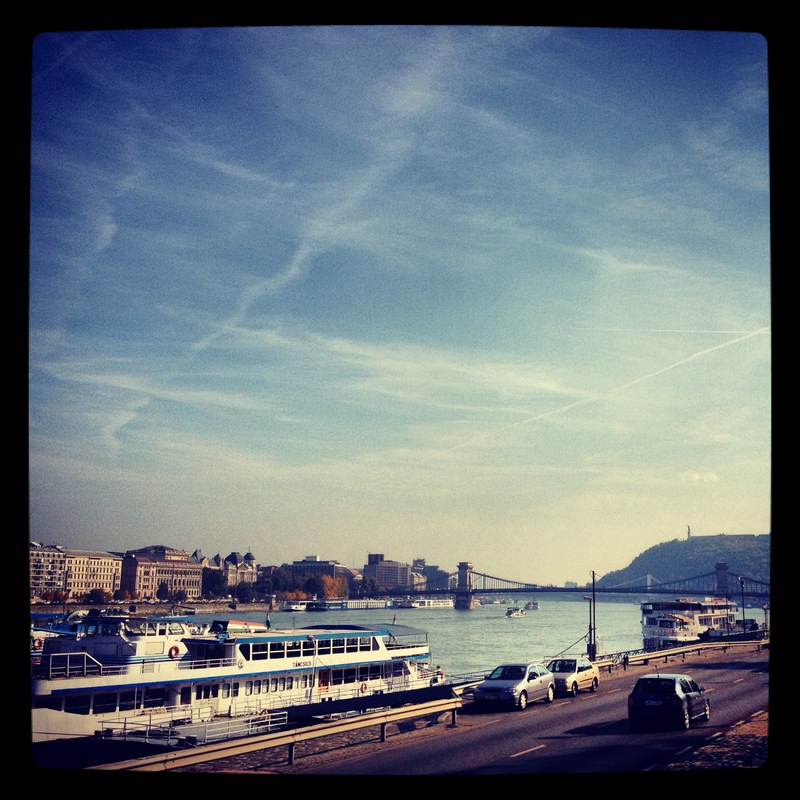 And you’d be surprised by how many people don’t like Budapest, and I know a few who have even called it ugly.